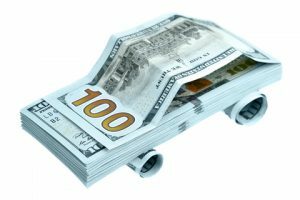 How Can I Lower My Auto Insurance Costs? Reducing your auto insurance premium is a great way to save extra money each month. Read on for a few simple tips on how you can shrink your car’s insurance bill. Make sure to talk to your insurance broker about other possible discounts that you may qualify for! Driving less on a yearly basis is a great way to save on car insurance. This is because the less you drive, the smaller your risk of getting into an accident is – simply by not being on the road as much. When your insurance risk shrinks, so do your premiums. A word of caution: it’s important to be honest about your average annual mileage, as any inaccuracies can jeopardize a future claim. Many insurance companies offer discounts to drivers who successfully complete a defensive driving or safe driving course at an accredited institution. The completion of such a class shows that you are committed to safe driving, and will lower your insurance risk. Driving a car that has built-in safety features, like an alarm, engine cut-off system or tracking device can qualify you for added discounts on your auto insurance. Why? Stats show that vehicles with these features are less likely to be stolen. Newer vehicles will automatically come with a lot of these features, so make sure you let your insurance broker know if your car applies! You may be able to get a discount on your auto insurance by simply parking your car in your garage every night! Vehicles are much more protected in a garage, and therefore likely to be stolen or involved in an accident. When looking to purchase or renew your car insurance, shop around and get several quotes. Keep in mind, it’s important to make sure you’re comparing the same level of coverage. If you’re looking for a more competitive auto insurance price, contact ARC Insurance. Our team of expert brokers will ensure you get the best coverage for your needs.